Requirements for business software architecture and infrastructure are changing rapidly. New generations of both internal and client-facing applications demand that enterprises continuously output software with high availability and infinite scalability, yet must also remain completely secure and compliant. Now more than ever, IT groups and business analysts need to work closer together to build dynamic solutions. Monolithic software is no longer a competitive approach—fast-paced demands cannot be met by software built exclusively by IT departments, on traditional release cycle schedules. mondCloud's Rapid Solution Builder for Enterprise Cloud provides a comprehensive set of tools and infrastructure to handle the complete life cycle of even the most complex business applications. Architecture, development, deployment, and continuous business process adaptation are all instantly accessible and managed from within the browser. No new specialized knowledge is required — across all industries, this premium solution-building suite is a better vehicle for your business expertise. mondCloud™ harmonizes Data Modeling, Data-driven UI Design, Business Process Management, Document Data Integration, and Enterprise Application Integration in one comprehensive suite, saving time by uniting processes on a single platform and easing the flow of information from one stage to the next. mondCloud™ enables both system integrators and enterprise customers alike to deliver high quality applications in a fraction of the time of traditional business solution development. Become the supply chain hero and save up to 50% on your B2B/EDI supply chain integration. mondCloud™ has cultivated a deep awareness of enterprise needs over years of experience, and tailor-made Spaces, Notion, Security, and other integrated infrastructural elements to meet those needs. While competitors like Dell Boomi®, MuleSoft®, and Liaison® may claim to offer iPaas (integration platform as a service), mondCloud’s infrastructure provides a compliant, secure, and logically connected system that enables truly complete iPaas solutions. This shows the vendors and platforms our customers are migrating from. This shows the vendors and platforms our customers have evaluated before deciding to purchase mondCloud™. As the trusted provider of a complete solution-building suite for enterprise cloud, mondCloud™ is fully aware of and responsive to industry-specific file formats, conventions, business processes, pre-defined rules, and standards. To meet these particular needs, we provide industry-specific portals that present mondCloud’s features in the context of banking, insurance, supply chain management, energy efficiency program management, and more. mondCloud Inc., has announced that it has successfully completed SSAE16 SOC 1 Type 2 compliance audit for the 5th consecutive year. Supply & Demand Chain Executive has selected mondCloud as a recipient of an SDCE 100 Award for 2018. Happy 2018 from the mondCloud team. VAT implementation for the UAE. A 60-minute introduction to mondCloud. No previous knowledge about mondCloud necessary. Advanced techniques for the experienced mondCloud user. Ask our team anything you always wanted to know about mondCloud tools and/or infrastructure. mondCloud™ offers two partner programs for system integrators who want to transform their clients’ business processes, with attractive revenue-sharing potential. 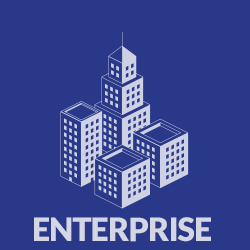 The Enterprise Program is designed for system integrators who want to dramatically improve the business processes of their existing clients in banking, insurance, supply chain management, energy efficiency program management, or enterprise clients in other fields. 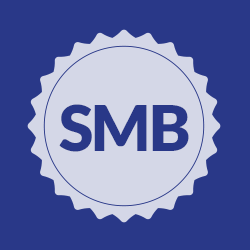 The SMB Program is crafted for system integrators who want to create exceptionally efficient software solutions for small and medium-sized business clients in any industry. Whether you’re a single decider, or a team member seeking a solution for your group, please use the form to the right to schedule a live demo of the mondCloud™ platform and its tools. All of our live demos are easily accessible, by any number of attendees, on GoTo Meeting. to find a good time and agenda for a live demo. Thank you! Your submission has been received! The mondCloud team will get in touch with you shortly to figure out the details. Something went wrong while submitting the form. Try again later. Whether you have specific application or integration needs, want to discuss industry-specific solutions or concerns, would like more information about your options for integration partner tracks, or have any other questions about mondCloud’s offerings, feel free to contact us. Our technical sales team is ready to discuss your business needs, and how mondCloud™ can help you meet them efficiently both now and in the future.